KEEP UP-TO-DATE WITH THE SMOKE & MIRRORS MAGIC THEATER! The main theater, is a custom-designed sixty seat magic theater, built in the European amphitheater style, with the focus on perfect sight lines and sound for the audience. Please scroll down for videos. The Smoke & Mirrors Magic Theater presents amazing magic and mentalism shows for adult audiences in the evenings, and family magic shows on the weekends. We bring in the finest magical entertainers from around the world and you will never see magic performed in better conditions. 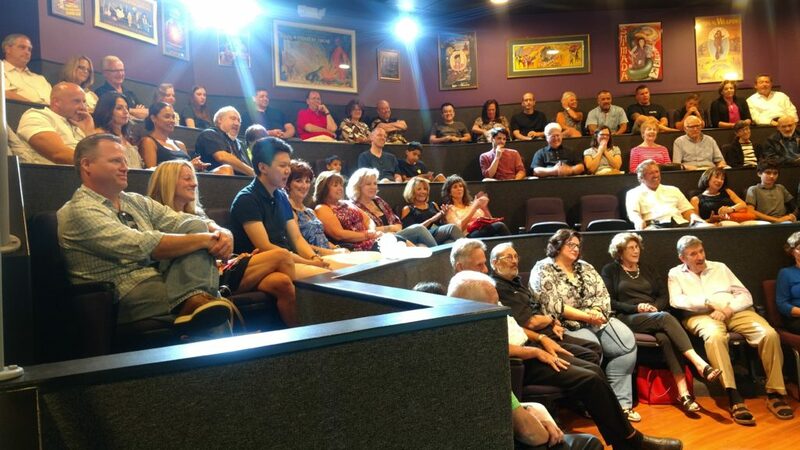 Our second sixty seat theater, the Little Theater & Lounge, is where we present plays, juggling shows, improv and stand-up comedy and other forms of entertainment. It also serves as our catering hall, seating sixty people, meaning you can have food and drink when you host your next special event at our venue. All our evening shows are BYOB for ages 21+, beginning ninety minutes before show time. Since we appeared in August of 2017, we have hosted; corporate meetings, fundraisers, seminars, team building workshops, sales meetings, training workshops, birthday and anniversary parties, seniors, scouts, retirement parties. The Smoke & Mirrors Magic Theater is quickly gaining a reputation among the world's best sleight of hand magicians, for being an absolutely perfect theater to perform the craft that they have devoted their lives to. That means that we are able to book the very best performers for your entertainment pleasure. And if you can't make it to the theater, we can send our performers to your event. We can safely say, that every audience member will have an experience unlike any other, anywhere in the Delaware Valley.